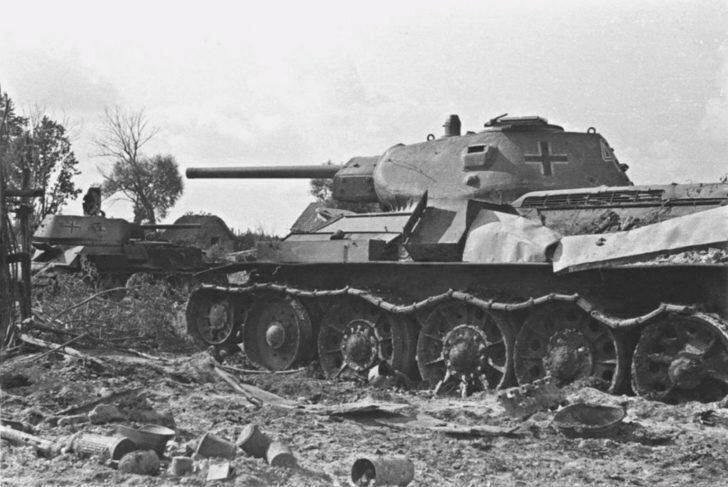 Captured Soviet T-34 medium tanks, manufactured in 1941 from the unidentified Wehrmacht tank unit. Eastern Front, Lithuania, USSR. On the armored vehicles marked the identification and tactical signs of the Nazis. Judging by the state of the tanks, they are damaged and decommissioned.